iLounge.com named Switch as one of the CES 2015 Best of Show Award winners. 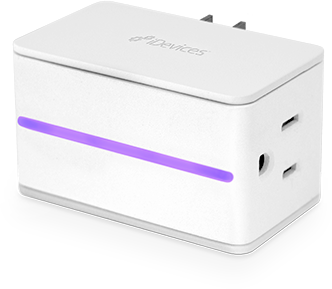 Switch- The iDevices Switch is the world’s first HomeKit-enabled plug. Awarded Hartford Business Journal’s “Best Places to Work in Connecticut” for 2015. 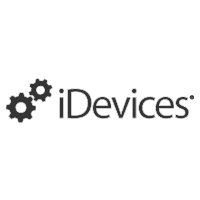 If iDevices Switch were on Shark Tank, how much do you think Mr. Wonderful would say your company/product is worth? Switch retails for $50 which is very reasonable for consumers who are considering buying Home Automation products. How long was your company working on the Switch for? The iDevices Switch is the world’s first Apple HomeKit-enabled smart plug. You can use your smartphone to control things you plug into the Switch. In the most basic sense that usually means turning lamps, TVs, small appliances and other devices and gadgets on and off locally or remotely (over the internet). In Jan of 2014 iDevices became one of the original Apple HomeKit (HK) partners. HK is a framework/standard that simplifies the current state of home automation. It’s a common language that smart devices from any manufacturer can understand and support. HomeKit also leverages Siri, Apple’s intelligent voice assistance, letting you control smart devices with just your voice. We’ve been developing and perfecting switch over the last 13 months. How were you able to integrate Wifi and Bluetooth into this one device? To date home automation has been fragmented and confusing to the consumer. Set-up is difficult, proprietary based systems, lack of standards, and cost of entry was expensive . Most home automation solutions are Hub ($100 to $200) and spoke based. The Hub acts as the interface between the device (i.e. thermostat) and the homeowners wireless access point (WAP). Apple HomeKit (HK) eliminates the Hub, simplifies set-up, and is a de-facto standard. Eliminating the Hub reduced cost of entry significantly and set-up was simplified dramatically by automatically connecting and transferring WAP credentials (SSID/Network Key). Switch supports both WiFi and Bluetooth Low Energy (BLE) RF technologies for two reasons; Local/Remote connectivity (WiFi) over the homeowners WAP and communication with low power BLE based devices. Your personal favorite part of the Switch? I love the fact that Switch can be controlled by Siri. “Turn off my switch”, turns off the power to whatever is plugged into Switch. It’s really exciting to see people’s reactions the first time they see this feature. Who was the initial target market when creating this product? Switch is a consumer-based product. I think the real value of home automation is what lies ahead. Switch will learn over time and gently make suggestions based on our habits. For instance if you read in bed every night at 10, Switch could automatically turn on the light just before you settle in to read. How much heat can the iGrill resist? 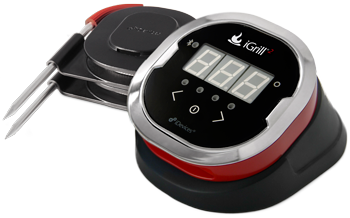 The iGrill temperature probes can withstand temperatures as high as 620°F for extreme grilling and smoking. 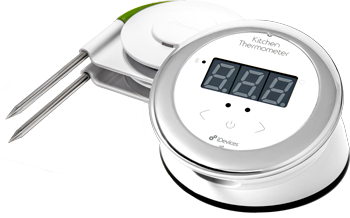 The iGrill measures temperatures between -22 and 572 degrees Fahrenheit. 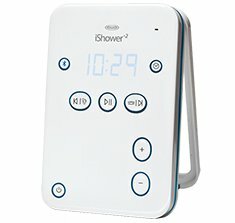 What is the key piece to making the iShower water resistant? Where are some of the places that you can find iDevices? Switch will be in stores shortly. iGrill is in Lowes. You can also order products directly from our website.